Happy Monday Everyone! Today I’m excited to have debut author Kit Frick here to share about her contemporary thriller SEE ALL THE STARS which releases 8/14/2018. I love mysteries and thrillers, and this one has gotten great reviews, so I’m hoping to read this soon. Hi Kit! Thanks so much for joining us. Thanks so much for having me at Literary Rambles today, Natalie! I’m a full-time writer and editor, living the dream of working from home in my lounge pants. While I’ve been writing since childhood, I spent my junior high and high school years thinking I was going to be a professional actor. Then I took my first writing workshop in college, and I knew I’d found the right creative path. This is the point when I’d say I “became” a writer, meaning I fell swiftly and deeply in love with writing, and it became a part of my identity—which is of course distinct from becoming a published writer, which was still years off for me. To that end, I studied writing throughout college, kept writing after graduation, and a few years later, I went back to school to get my MFA. (And because I know this is a question on many writers’ minds, no, I do not think one needs an MFA to become a “real” or “professional” or published writer. What you do need is to learn how to receive feedback, revise seriously, and read widely. I benefited immensely in all three of those areas from my MFA program, but it’s definitely only one of many paths you can take toward developing those skills.) I finished grad school six years ago, and now my first young adult novel and first full-length poetry collection are being published within a month of each other. It’s a dream a long time in the making. 2. I love the life of being a writer working at home in my sweats too! Where did you get the idea for SEE ALL THE STARS? I’m drawn to complex characters, and my writer-brain delights in putting them in very tough situations and empowering them to dig their ways out. 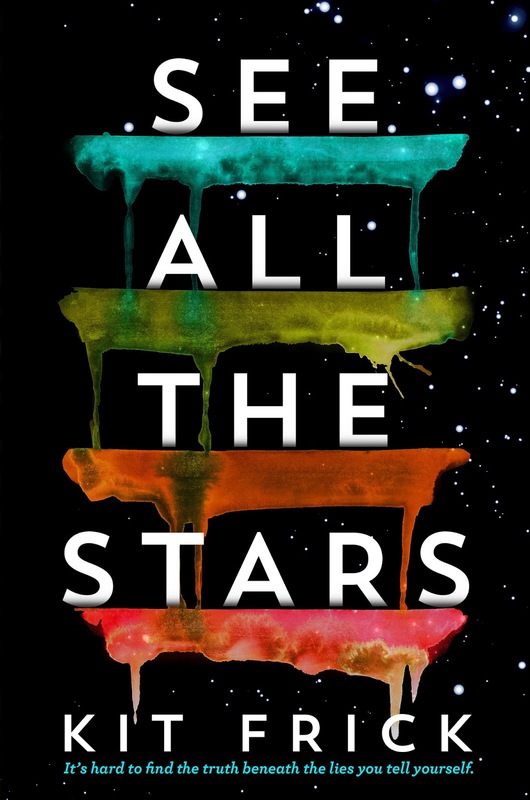 The idea for See All the Stars began with a “what if?” question: What if a girl lost all her friends and her boyfriend in one fell swoop—and what if she was partly responsible for what happened? The story unfolded from there. 3. You are also a poet and have a full-length poetry collection, A Small Rising Up in the Lungs, releasing September 4, 2018. I’m guessing that your poetry influences your YA writing because your book has been described as having beautiful prose. Share how poetry has helped other areas of your writing. I developed an ear for diction and tone through studying poetry—both through reading and writing. In some ways, the two forms require very different compartments of my writer’s “toolbox.” When I’m plotting and structuring a novel, I’m using my creative brain in a very different way than when I’m drafting a poem. But when it comes to sentence-level concerns (how a sentence sounds, how it works with the sentences that precede and follow, how the choice of a specific verb or modifier can work to create mood or suggest a specific understanding) that’s where my brain is tapping into my poetic background. 4. Part of your story is a mystery/thriller. How did you plot this out and weave it in with the issues of friendship and romance in your story? The epic friend group breakup came first. I always knew that would be at the core of Ellory’s story. Next came the ending of a first romantic relationship—because as I mentioned earlier, I’m cruel and like to make things as hard as possible for my characters. From there, I started to think about things like story structure (the dual Then and Now timelines) and genre (contemporary thriller/suspense). Those two elements really went hand-in-hand, as dual-timeline structures lend themselves to generating suspense, and once I’d worked out some plot basics and dug more deeply into Ellory’s character and the specific challenges she was facing, I could begin to think about the novel as functioning within a specific thrillery sub-genre of YA contemporary and how to effectively execute that on a craft level. 5. Sounds like you had a really well-thought out plan. This sounds like a real page turner because some readers said they read the ARC in a day. How did you keep a fast pace to the story and what advice do you have for aspiring writers on this? Part of this has to do with the dual-timeline structure I mentioned above. The “Then” timeline follows Ellory from the last week of sophomore year through the spring of her junior year and leads up to the explosive incident that shatters her group of friends. The “Now” timeline picks up on the night before senior year begins, after Ellory has been suspended from school (for her role in said incident) and has spent the summer away, off social media, and otherwise disconnected from her friends and classmates. And now she has to return to high school, totally alone and consumed by guilt and regret. In terms of advice, what I can say is that I did not get the pacing right on the first—or sixth—attempt. I drafted and then revised See All the Stars several times before querying, with the help of a few amazing beta readers. After signing with my agent, we went through two rounds of developmental revisions and several smaller, polishing rounds before putting the manuscript on submission to publishers. After we sold the book to my amazing editor Ruta Rimas at S&S/McElderry, she kindly pointed out that Ellory was doing a whole lot of nothing—“spinning her wheels,” was, I believe, the diplomatic term she used—during the first half of the “Now” timeline. So I scrapped a whole bunch of chapters and went back to the drawing board to get that timeline right. Learn to listen to feedback from trusted sources. Be okay with mourning the fact that your book baby isn’t perfect. Learn to revise, and revise, and revise some more until you get it right—whether it’s pacing or any other element of crafting an effective story. 6. That's great that you could hear what your editor was saying and make the revisions that you needed to make. You interned at Simon & Schuster in college and are a senior editor at Black Lawrence Press. Has this impacted on your getting your agent, Erin Harris, and your publishing contract? What was your road to publication like? The short answer is no—my experience as an intern and then editorial assistant at Simon & Schuster and my experience editing now at Black Lawrence Press (as well as through my private editorial practice Copper Lantern Studio) had very little, if any, impact on my path to publication. Editing is my day job, and I love it dearly. Working with fellow writers on their manuscripts and books brings me a whole lot of joy. But I signed with Erin through cold querying. I had zero personal connection to any of the agents who offered representation, nor to any of the editors to whom we submitted See All the Stars. When we accepted McElderry’s offer, they thought it was “very cool” that I’d once worked at S&S (over a decade before), but they learned about that tidbit after the fact. The way in which my editorial work has had an impact on my writing has much more to do with honing my craft than it had to do with my path to publication. There’s an amazing synergy between the work I do with my “editor cap” on and the issues I’m tackling in my own work on the daily. I’ve also learned a lot about the book publishing industry as an editor, which can be useful when it comes to figuring out weird industry acronyms and idiosyncrasies. I’m very fortunate to be able to work in two fields that benefit each other so nicely. But I’ll leave you with this: writers who don’t work in the publishing industry or know anyone there, take heart: cold querying works. Finding representation isn’t easy, and pursuing publication can be a very long road, but you do not need to be “connected” to find an agent or get published. 7. We'll all be glad to know that querying does work. How are you getting the word out about SEE ALL THE STARS? What advice do you have for the rest of us? 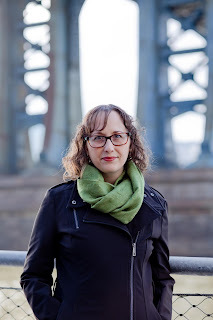 I’ve been doing a few pre-publication events, such as paneling at the AWP conference in Tampa and the NYC Teen Author Festival this past spring. And thanks to the generosity of book bloggers and interviewers such as yourself, I’ve also been doing guest posts, interviews, and giveaways. My publisher has also been working diligently to promote See All the Stars at teen festivals and industry events around the country. In terms of advice, here’s the thing: there is an absolutely endless amount of promo you can do (and dollars you can spend) trying to get the word out about your book. And return on investment is often mysterious and exceedingly difficult to quantify. So, do what you enjoy. If it doesn’t sound fun, don’t do it. I’ve loved doing interviews with fellow debut YA authors through the Debut-to-Debut interview series I run on my website, which gives me an opportunity to boost books I love. I really enjoy connecting with fellow writers and future readers through my monthly newsletter, These Little Secrets, which I’ll continue to grow after See All the Stars hits shelves. You pick and choose, and you do what brings you joy. If that translates in any way into book sales, that’s icing on the cake. 8. What has your debut year been like so far? What do you recommend other writers do once they sign a publishing contract to prepare for this important time in their careers? On personal level, as a debut author, 2018 has been a little bit stressful and mostly exciting and filled with new experiences. My big advice for soon-to-be-published authors is this: Connect with fellow debuts! Writing is often a solitary experience, and even once you’ve signed that first contract and have become a key part of a book publishing team, being an author is nothing like signing on with a new company or organization. Your publisher will welcome you enthusiastically, but there’s no orientation meeting, no office tour, no bonding with your new colleagues over coffee breaks and lunch (at least not on a regular basis). Seek out that camaraderie and support in other authors at the same wild and wonderful stage as yourself through a debut group. (I’m a part of the amazing Electric Eighteens. The Novel Nineteens are already in full swing for 2019 YA and MG debuts, and the Roaring Twenties are getting the ball rolling for 2020. Similar groups exist for authors writing for adults. There are also smaller groups such as the Class2K groups, which form every year and focus on group promo and support, and the annual Debutante Ball groups.) You’re going to have a lot of questions as a debut author. Debut groups are no substitute for asking your agent and/or editor—which you should do!—but they can be an extremely valuable support network. Plus, you’ll get to meet so many amazing people and be introduced to their books! 9. That's great advice. And thanks for the links to the groups I need to connect with to create my 2019 schedule. You have also been a Pitch Wars mentor. Share about that and how writers can benefit from this. I’ve been a Pitch Wars mentor since 2016, the same year I signed with my agent. I wanted to give back to other writers who were working on revising their manuscripts toward that same goal. I’ve worked with three mentees and loved every step of the way. (For the uninitiated, Pitch Wars is a contest where mentors choose a writer with a finished manuscript and then work with their mentee to make their manuscript shine for the agent showcase and querying.) As those tuned into the #PitchWars community may already know, the contest now has a new committee behind it and is undergoing a lot of exciting structural changes this year. As the committee’s work is ongoing in preparation of the 2018 contest, I don’t want to say much more until official information is released, but interested applicants can find the most up-to-date information via the official Pitch Wars Twitter account @PitchWars and on the website. My 2019 book is a YA thriller about two girls under unbearable pressure from their families and communities—and what happens when they decide to stop compromising. It’s in copyedits now, and I’ll be able to share a lot more about it later this year! 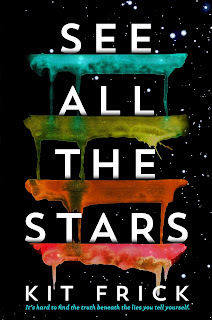 Kit has generously offered an ARC of SEE ALL THE STARS for a giveaway. To enter, all you need to do is be a follower (just click the follow button if you’re not a follower) and leave a comment through June 23rd. If your e-mail is not on your Google Profile, you must leave it in the comments to enter the contest. A great post to read Natalie, wonderful insight of authors. She cold-queried and still got an agent and contract - that's good stuff. I can't imagine the challenge of writing dual timelines. Well done, Kit. I love hearing about writers who publish in diverse genres! It sounds as if Natalie's poetry informs her YA and other writing, and vice-versa. Revision is very important. Even though it takes a lot of time, the results are worth it. Sounds like it made a difference for your pacing. Congrats on your novel and your poetry book, Kit! And thanks for sharing about your extensive revisions. Thank you for this awesome giveaway! I can't wait to read this book. Congrats on both. Yeah, can sure take many a draft to get the pacing right indeed. This interview resonated with me in so many ways. I love all the hard work, and I love Kit's love of writing long before she became published. I'm looking forward to what looks like an awesome debut. This book sounds fantastic, and I enjoyed reading about Kit's journey as well. Thanks for sharing! It's great that Kit has such a wonderful attitude and welcomed her editor's advice. I also like her tip about forming a debut group. Best of luck on your new book! It sounds like a real page turner. Thank you, Natalie! An interesting interview, Kit,so nice to "meet" you. And congratulations on your new book. Fascinating. Can’t wait to add this to my classroom library! loved the plot summary and the interview. looking forward to the book! Follow as LB. This sounds like a great book! Love how much detail Kit shared, what a great interview!